It is with total amazement that we observe California’s geological history as it’s exposed by road cuts, here high up on the Leesville Road above the Antelope Valley in northern Colusa County. It almost looks like a stack of bricks, a wonderful example of the muddy sandstones that make up the Great Valley Sequence – a geological phenomenon that describes the thick section of sea floor sediments that dip from the east flank of the Coast Range under the Great Valley, the broad fertile plain that stretches from the Coast Range to the foothills of the Sierra Nevada Range. 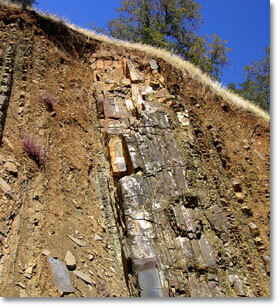 These sandstones were once layers of mud and sand on the Pacific Ocean floor. Their layers tilt steeply downward to the east. Over time eroded deposits accumulating on the valley floor, from stone formations like this, contribute to the birth of clay deposits. 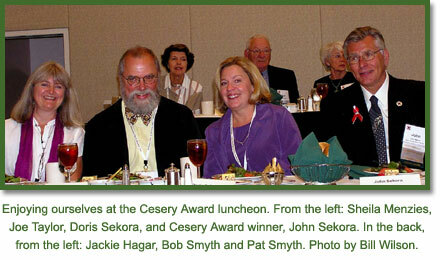 Sheila Menzies and Joe Taylor drove to Lake Tahoe in late September to attend the annual TCAA convention, specifically the luncheon honoring this year’s Cesery Award recipient, John Sekora. 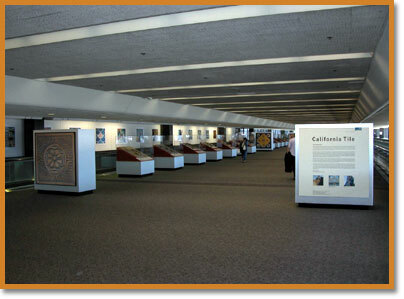 Founded in 1903, the Tile Contractors’ Association of America – TCAA – was incorporated in 1928 as a nonprofit organization serving ceramic tile contractors throughout the United States. 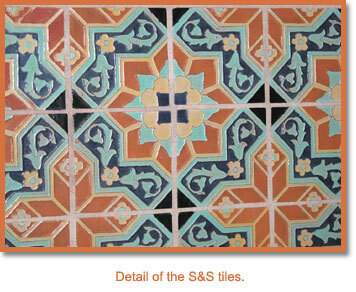 Its professional member contractors rely on TCAA to keep them current on everything that affects the installation of ceramic tile. 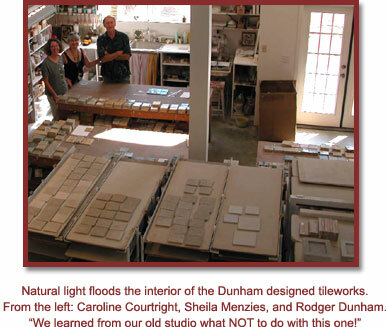 The Carl V. Cesery Memorial Award ranks high among the national honors granted by American trade, industry and professional groups and serves to distinguish any person from any source who has served the American tile trade with great distinction. All who have received the award are met with a marked measure of personal success; all have figured prominently in the American tile trade; all have taken an active part in their respective national bodies; and all have given their time and effort to the common good of all those who make a living out of the production and installation of ceramic tile. John J. Sekora, a personal friend and an outspoken advocate of the Tile Heritage Foundation, is the CEO and owner of Artisan Tile & Marble Co. of N.J., Inc. He has served as both president and treasurer of the New Jersey Tile Contractors’ Association and was president of TCAA in 2000-2001. 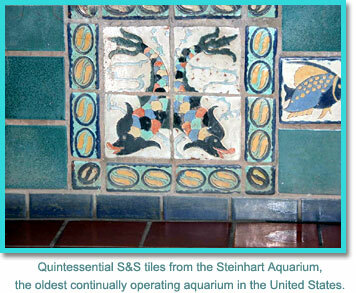 Noted as the “official TCAA historian,” John was acknowledged for his efforts in compiling Ceramic Tile in 20th Century America, a book that traces the history of tile installation over the last 100 years. On our return from Lake Tahoe, we stopped in Grass Valley to visit our friends Caroline Courtright and Rodger Dunham at their new location in the Sierra foothills. Three years back while visiting friends in the area the couple fell in love with this place and within days picked up their stakes in Sonoma County and made the move. And what a splendid choice! 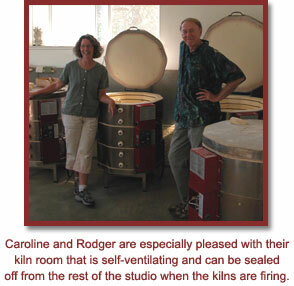 In the shade of giant live oaks they built a new studio up the drive a short walk from their home where they are continuing to pursue the tile traditions that Rodger initiated with his ceramic wall sculpture and tile mural installations nearly 30 years ago. 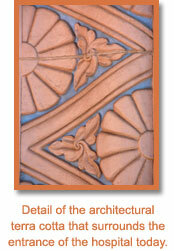 Terra Pacific Tileworks produces handcrafted, decorative relief tiles of exceptional quality. A palette of transparent colors has been developed to reveal and emphasize the uniqueness of each design; and when combined with the coordinated field options, an unlimited range of complimentary effects can be achieved. The company’s vast and ongoing array of theme multiples, serialized and sequential patterns, and consecutive systems offer many workable design solutions to trade professionals and their clients. Our friends may miss the ocean air, but they now have the pristine beauty of the mountains around them, ideally suited to the production of fine ceramic ware. 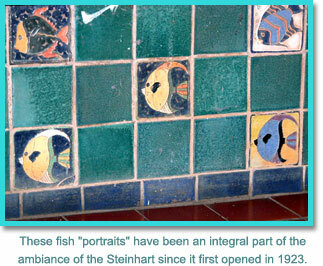 The salvage work at the old Steinhart Aquarium in Golden Gate Park, San Francisco, has been completed. James Dawes of PlaceMakers Inc. was the primary contractor on the job, which took 32 days to finish. Tile Heritage board member, Riley Doty, worked with Dawes for 18 days, mainly on removing tiles from the rim of the alligator pit and the lower band of decos around the perimeter of the room. Barb is a good communicator, and we will keep on this. Tile Heritage has heard from Rhonda Heisler of SAMA that Isaiah Zagar’s South Street Magic Garden in Philadelphia is seriously threatened. The owner of the property in Boston apparently has put demolition on hold temporarily while a nonprofit organization is established to purchase the property and assure its preservation. We encourage everyone to visit Isaiah’s website at www.isaiahzagar.org and click on “Save South Street’s Magic Garden.” There you will find a number of options from making tax deductible donations and signing petitions, to writing letters of support to city and state officials. 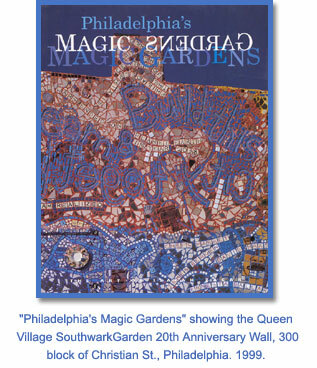 Isaiah’s Magic Garden, adjacent to his studio at 1022-24 South Street, Philadelphia, has become a landmark visited all hours of the day and night by people from all over the world. The property must be saved to ensure that it can continue to be shared, studied and enjoyed by both citizens and visitors to the great city of Philadelphia. The City and County of San Francisco is in the process of constructing a new campus on the Laguna Honda Hospital site that will provide housing and a complete continuum of long-term healthcare services. It will, by design, encourage rehabilitation and independent living while setting the standard for enhancement of the quality of life. The main entrance to the current hospital is adorned in ornate terra cotta around and above the doorway, including the adjacent lampposts and two massive, ornamental urns. 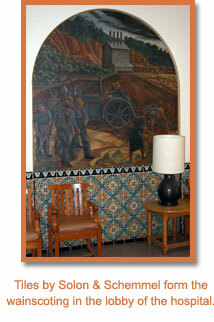 The lobby of the hospital has an extensive wainscoting of decorative tiles produced by Solon & Schemmel in 1926, featuring a 3-foot roundel above the door. The inner courtyard has an assortment of S&S patterns around the koi pond as well as trim highlights on the court’s outer perimeter. Tile Heritage has written the hospital administrator to establish the importance of the tiles and terra cotta and to express concern that they be safeguarded. We have been verbally assured by the administrator’s secretary that the lobby will be maintained as is, but to date the administrator has not responded directly to our inquiries. Established in 1866 as “The Almshouse,” a shelter for the homeless, the hospital quickly evolved when it was hastily called upon to treat smallpox patients during the 1868 epidemic. Later, in 1906, “The Relief Home” was called upon to provide care and emergency housing for victims of the earthquake and fire. 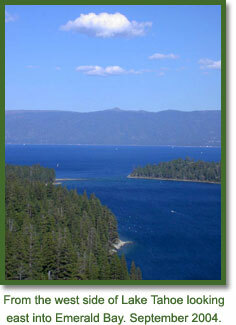 Shortly after, a hospital section for the chronically ill opened. 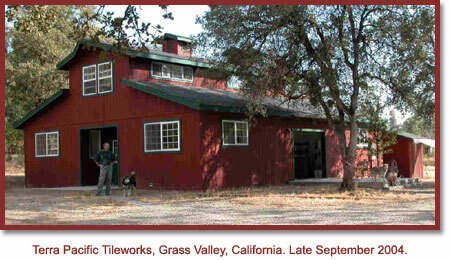 In 1926, the first units of the main building were completed with the last units coming into service in 1940. 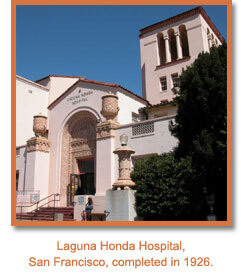 In 1963, Laguna Honda was formerly accredited as a hospital; at its peak, it had 1,908 beds. 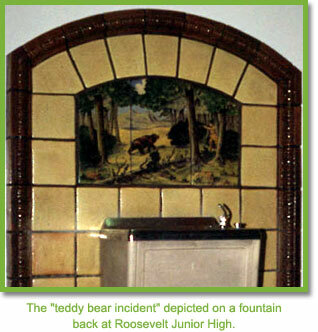 Mary Jane Koenig, archivist and tile enthusiast in Erie, who was responsible for saving the twelve American Encaustic splashbacks from the old East High School building, has recently informed Tile Heritage that Roosevelt Junior High School is threatened with demolition. In 1924, W.W. Myers, architect for the Erie School District, designed Roosevelt Junior High School. 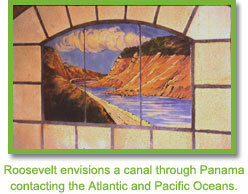 Quoting Cleota Reed from A Guide to the Tiles of Erie, Pennsylvania, “This school is a tile treat. 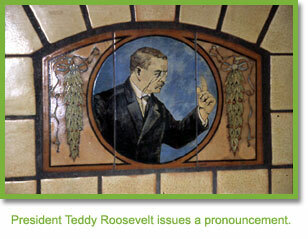 Behind its eight water fountains we find tiles depicting hand-painted scenes from the life of the nation’s 26th President and the school’s namesake, Theodore Roosevelt. The images, by as yet an unidentified maker, are set in arched three-part panels against pale yellow, mat-glazed backgrounds, and framed by mustard-yellow egg-and-dart relief patterned moldings.